LinkedIn recommendations are like public reference letters, but are they too positive to have any credibility? In a blog post titled “Requested Recommendations on Social Networks: Why I Won’t Do It“, web strategist Jeremiah Owyang weighs in against recommendations on LinkedIn. Although what he says has a lot of merit, ultimately this is an example of throwing out the baby with the bathwater. If his blog post was initially aimed at requested recommendations from him, and even though he mentioned examples of people who found jobs using LinkedIn recommendations, Jeremiah's conclusion is that all LinkedIn recommendations are cheapened by the way the system is almost entirely geared towards positive recommendations. That may be true, but here are 3 reasons why I think Jeremiah is wrong to completely stop using LinkedIn recommendations. 1) The job search process is a sales process. When you're trying to sell something to someone, one rule is to not give them objections, i.e. reasons not to buy. Stress the positive over the negative. Even if LinkedIn is only a few years old, this idea is not. Before LinkedIn recommendations, people had (and still have) references and recommendation letters and can choose which ones to give and which ones not to give to a recruiter. By deciding whose recommendations to seek or which ones to hide, you are simply making these same kinds of sales decisions on LinkedIn. In either case, it's up to the recruiter to decide whether more reference-checking is needed. 2) The relation between the recommender and the recommended is what matters most. Best – a recommendation from someone by whom you were employed, such a past boss or client. Useful – a recommendation by someone who witnessed your results firsthand or was directly impacted by them, such as a colleague or business partner. Sometimes useful – a recommendation by someone who is impressed by you or your work, like a fan, friend or family member. You can always click through to see more information about the person who actually made the recommendation and where they are in this ranking. It's fairly difficult for someone to fake recommendations on their own. If your profile shows that you have recommendations from your last employer, that recommendation almost certainly came from them and is less likely to be faked than a typed or handwritten letter. And of course, you could usually use LinkedIn itself to find other people to confirm the source of the recommendation. Compare this with a typed letter where often the only sign of authenticity is a company letterhead. 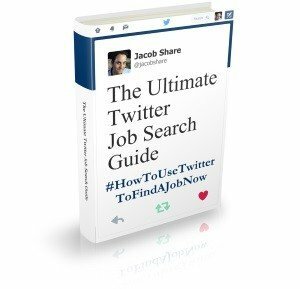 Even if I disagree with Jeremiah's conclusions, his blog post inspired me to rewrite the recommendations section of my Gigantic Tips Guide for Finding Jobs With LinkedIn by putting less emphasis on the numbers game and more on the recommendation sources. If you liked this article and appreciate what I'm trying to do with JobMob, you can leave me a recommendation on my LinkedIn profile. 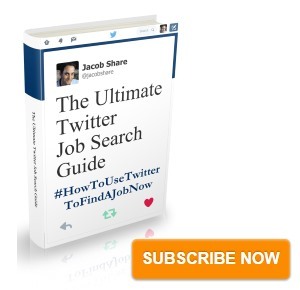 Subscribe to JobMob via RSS or email and follow me on Twitter for more ways to harness LinkedIn on your job search. I have 2 client success stories. One of my clients followed my advice and used linkedin.com She received 2 interviews in 5 days. Another client tapped into linkedin.com to get a hiring manager’s name, thereby using the hidden job market. Remember the 6 degrees of separation and that we have an 80% chance of getting a job through someone we’ve met or contacted. All the companies I really want to work for have been looking at my Linked In profile and it is rewarding to know that they care.